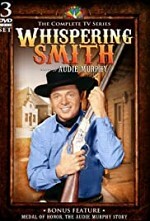 Watch Whispering Smith: Whispering Smith was a detective on the Denver, Colorado Police Department in the 1870s. This show took case histories from Smith's adventures. George Romack was Smith's partner and John Richards was the police chief.